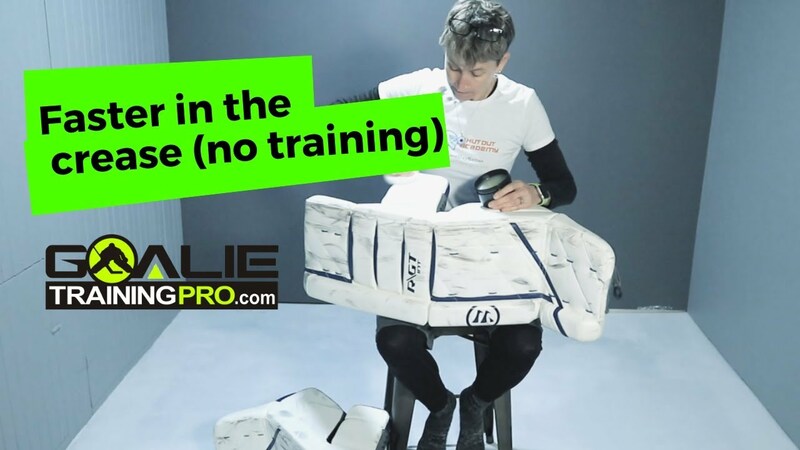 Welcome to Goalie Training Pro TV episode 46. 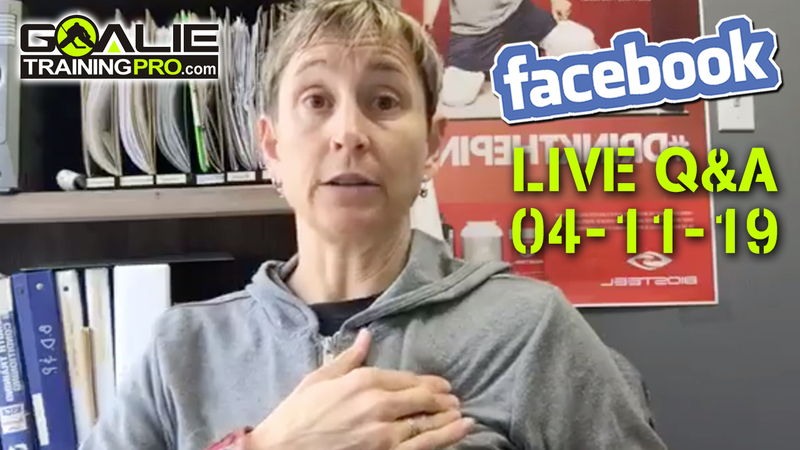 Today’s topic is the RVH and you… here we go! Okay gang today we’re talking about the RVH and you. The first two things I wanted you to take away from this is that your ankle doesn’t bend left to right, inwards and outwards. It won’t do that, it doesn’t like that. Your knee does not bend like that either. 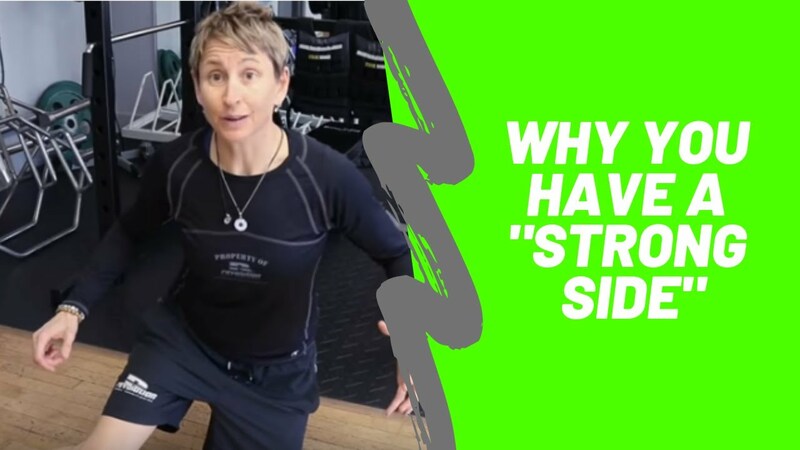 You’re right, you have ligaments in there that are strong connective tissue bands that are meant to keep those joints stable. Those joints really like to move front to back, they’re like a hinge joint. There’s a little bit of movement in there but they really want to be hinge joints. So they have very strong ligaments like you all know the MCL, and there’s a LCL, and the ankle has a whole slew of ligaments. When you move those joints beyond their anatomical range that’s when you sprain your ankle or your knee and what that means if you’ve damaged the ligaments. With that being said, please stop emailing, I mean you can email me, but please stop asking for stretches for the ligaments of your knee so that you can bend your knee sideways more because that will give you … Well, and number one you can’t really do it other than tearing your ligaments, and then when you tear your ligaments you can end up with a unstable knee. Take home message… your ankle doesn’t bend that way nor does your knee. This means the RVH is a really unnatural position for your ankle and your knee. So, how can we make it better? You can recognize if you’re a coach or just a goalie, you can recognize that people have different body proportions. So, a goalie with a longer shin or ankle to knee measurement is going to have more difficulty. Because if my knee is further from my ankle it’s a lot harder for me to get… I have a lot more distance to go to seal that post. If say my knee is closer to my ankle then I’m a little closer to sealing that post. Other than cutting a few inches off of your tibia to make you closer to the post you can look at technique. Ask your goalie coach about… because a lot of you do skate on posts. Well then again, if my blade is on the post and the post is here I’ve got a lot more distance to cover to get into that post position. But if I even go pad on post so that my toe is behind the post that cuts the distance or even if I do skate inside post it cuts the distance a little bit and it’s a lot less torque on the knee. And if you play around with it you’ll sort of feel that difference. Again, that’s, I’m not an expert in the on ice stuff but those are some options. We’ve talked before about adding a little bit to your knee stack. Not so much that it’s cumbersome when you’re skating but if you don’t have any kind of a knee stack you can get little inserts that will give you a little more height on your knee so then you’re not getting as low. So, you can appreciate it if my knee is all the way on the floor, well if it was up another even half an inch that’s going to make it a little bit easier, take some torque off of my knee and then my ankle. Then, in terms of your off-ice training, really the reason the position torques your ankle and this torques your knee is because you’re not getting a lot of hip internal rotation. So, the more hip internal rotation you can get, the less torque there’s going to be on the knee. And I mean we’re not going to turn our hips too far in, there’s a lot of diminishing returns. But if you can improve your hip internal rotation you’re going to take some load off your knee and your ankle. Well, there’s a couple of ways that we do that. One is just a prone hip internal rotation. So laying on your stomach with your legs bent at about 90 degrees and just keeping your knees together, pulling your feet apart. Hold that for five seconds and come back together with your feet, then repeat and pull apart. Hold for five seconds and come back together with your feet. And I might do 10 like that. We can do a supine hip internal rotation. These are the basics but they’re a great place to start. 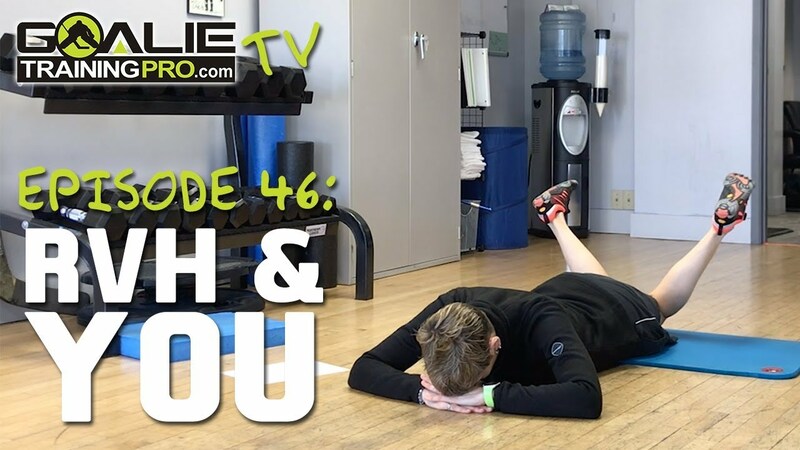 So, we can do a supine hip internal rotation where you lay on your back with your knees bent and your feet flat on the floor just a little wider than hip width. And you’ll bring your knees in together and hold for five seconds then come apart, knees together, hold for five seconds. The thing with this one, you’ve got to be a little bit careful because you can use your adductor muscles or your rotating muscles to pull your knees in. I don’t want you using your muscles… ’cause some of you I know you. You’re going to be like, “I’m going to get super wide and then pull my knees together”. That’s going to be too much strain on your hips. So, it should just feel like a little over pressure, a little bit of a stretch. But again, it’s a five second hold and do 10 repetitions just like that. To get a little bit more hip internal rotation it’s going to take some of the torque off the system. I think those are the two ways I would work to start taking some of the stress off your knee and ankle when you do the RVH. 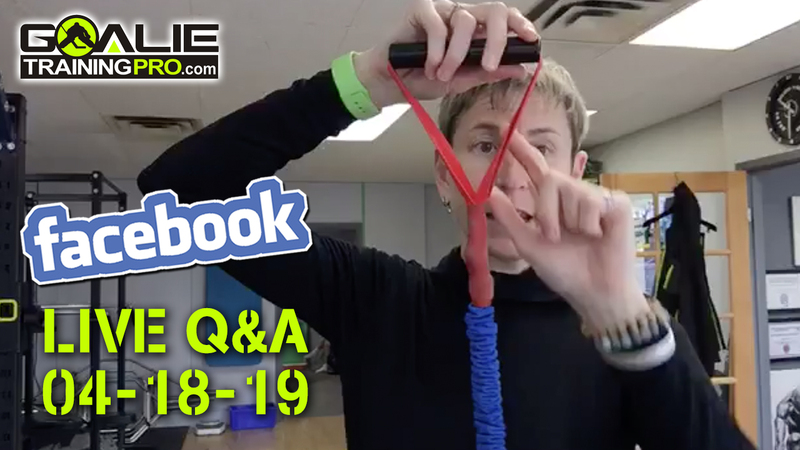 And then the other thing is realizing just like… the video we shot with Jason Van Spronsen of Future Pro, you can find it HERE. But it’s knowing when to use that RVH and when not to use it. I think it’s like anything. When it’s new shooters haven’t seen it before so it really stymies them ’cause it’s a totally new look. But now it’s like okay yeah if I take the puck here this guy’s going to his RVH and then I’m going to snipe up high or I’m going to put it right there. So, shooters are starting to learn where to look and even goalie coaches are starting (they’re going to the dark side people), they’re starting to work with shooters to be like, “Okay the goalies are learning. If it’s like this give them that or do this.” And then, helping the shooters understand what goalies are doing and what their advantage is so that the shooters can turn the tables. So, you’re going to have to learn when to use it, how to use it selectively, it’s just another tool in your toolbox. That is it for Goalie Training Pro TV today, short and sweet, all about the RVH and you. I will catch you next time. If you like this video give it a like, give it a thumbs up, give it a double tap. You can ring the bell. You can subscribe. And I’ll catch you next time. See you!